Have you ever struggled to find clarity? If so, this article is for you! You’ll learn 5 powerful, spirit-centered steps to finding clarity that were reinforced during a recent experience where I went from feeling dizzy tired to crazy inspired! If your guilt ever keeps you from following your heart, be sure to read the first part of this story, 4 Steps to Push Beyond Guilt and Take the Leap! If it’s easier for you to listen rather than read, Click Here to Listen Now! Would you believe I actually made it into downtown D.C. in barely any traffic? And as I mentioned in my first article, practically pain-free! The smooth travel experience reinforced my hunch that the Universe actually did want me to attend this conference for a specific reason. But I had no idea how significant its impact would be! As soon as I checked into my room, I dropped my bags, scarfed down half the salad I bought in the hotel lobby, quickly freshened up and got right back on the elevator to take my post as a registered volunteer. Normally not getting a quality, satisfying meal makes me feel irritable. But not that day. I had the cheesiest permagrin stuck to my face that no half-satisfied belly could asunder. ♥ Take care to notice what triggers you and respect it. My cheesy smile lasted all evening Tuesday as I helped welcome people from organizations all over the country. The best part of the evening, though, was talking to the other volunteers about our shared passions. Wednesday morning, I woke up with the permagrin still glued to my face and feeling fresh and jazzed up for the day. I put on one of the few professional-looking outfits I own (I’m a work-at-home mom, you know), took the time to curl my hair and put on a little eyeshadow, grabbed the business cards I designed and picked up the day before I left, and headed downstairs for the opening event. Efforts to improve nutrition in schools. Innovative new programs and even a treadmill with a built-in virtual reality video game system aiming to encourage more physical activity in kids. Improvements being made in the nutrition content of foods sold in certain fast food restaurants, soda companies, and convenience stores. Learning about these new initiatives left me optimistic with regard to the increased availability of more nutrient-rich food for our kids in public places. But I also left hoping that the next day the presenters would address two critical components that were not mentioned, one of them being motivation. It’s wonderful that all these changes are being made to make healthy food options more available. 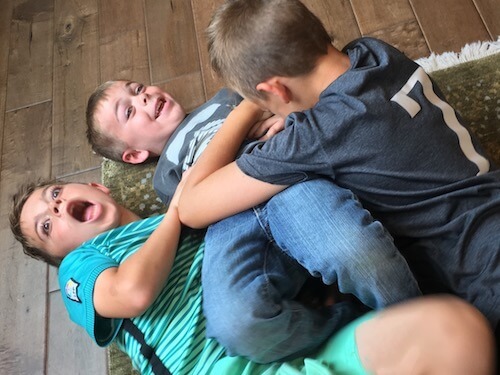 But as a mom of 3 boys, I know that parents also need help with … HOW. How can parents help children develop internal motivation to actually eat healthy food and be more active? ➔ What are your biggest struggles when it comes to their willingness to make healthy choices? Share in the comments below! Thursday came and went. And so did my grin. I met some amazing people who gave me such positive feedback on my book and wanted to connect after the conference. But I still saw two missing pieces in their efforts to end pediatric obesity. And then, Friday morning, it happened. The lesson the Universe brought me here to learn began to unveil itself. ♥ Pay careful attention and you’ll find the Universe is always there to support you. The presenters of a session I’d selected opened by saying that we probably weren’t going to like what they had to say. They felt the key to getting kids to actually change their eating and physical activity habits went against all we’d been hearing throughout the conference so far. I leaned forward and inadvertently whispered “Yesssss!” thinking that our messages must be aligned. But what they said next felt like a vicious punch in the gut. What in the world did she just say???? Did she really just say that we should NOT use the word “healthy” with kids? Did I hear correctly that using the word healthy will turn off kids because they’ll associate food and other health behaviors as medicinal rather than being something that will bring them pleasure? Basically, they believed we’re all shooting ourselves in the foot by encouraging kids to make healthy choices! I walked into the closing ceremony with my head spinning. I’d just given the green light the day before I left for the conference to go to print on a book I wrote to help kids to WANT to live a healthy lifestyle! I used many robust, kid-approved words to describe healthy food, but I also included the word healthy! Would this new “expert” opinion make the book I diligently rewrote countless times to ensure its relevance with kids’ interests, parents values, nutrition science, and behavior change research irrelevant before its release? And on top of that, I STILL saw a glaring hole in the conversation that never got touched on at all! The drive home was long — thank goodness. It gave me a little time to process the mishmash of thoughts running through my head. And of course, I questioned what in the world the Universe wanted me to glean through all of this. I called a friend who I trusted would listen and objectively reflect back what she heard me saying to help me make sense of it all. What came out what a blathering of confused statements tangled up in both hopeful and distressed emotions. She helped me lessen my emotional response, but I still had no idea how to proceed with my book. ➔ What person or coping tool do you turn to when you need help softening your emotions so you can see things from a more objective, grounded perspective? Share in the comments below! Saturday morning, I woke up dizzy tired. I couldn’t get the speaker’s message out of my head. Don’t use the word health to encourage healthy behaviors? But if not health, then what? For the next 48 hours, much to my family’s dismay, I went inward. I mean, I was still in their presence, but I went into a deep soul-searching mode. ♥ Turning to self-sabotaging behaviors when you’re stressed may provide you with short-term comfort, but often ends in guilt. Try exploring a practice or outlet that makes you gain perspective and leaves you feeling empowered! As a Health Coach, I encourage my clients to go several layers deep when they’re trying to figure out why they want to improve their lifestyle. The first two or three reasons will likely not be a deep enough motivator to lead to long-term success. So I took my own advice and started peeling back the layers. What I discovered were powerful insights…. It actually WASN’T the idea of being healthier that helped me when I was 17 to heal my years of struggle with body image issues, emotional eating, and insecurity with exercise. It WASN’T the idea of being healthier that motivated me to learn how to eat healthy and exercise. It WASN’T even the idea of being healthier that sparked my passion for healthy living and my desire to empower others to discover the joy of healthy living. I realized that HEALTH WAS AN OUTCOME of my healthy lifestyle, but NOT MY MOTIVATOR. To my surprise, it wasn’t even to lose weight, get stronger, build my confidence, or as society wanted me to believe, to become beautiful! I peeled back all the layers until I reached finally the core. What I discovered was that the motivator that changed everything for me when I was 17, was LOVE! Love for the life I wanted to live — purposeful, joyful and healthy! Love for the way I wanted to feel — confident, energized and empowered! Love for the person I wanted to be — genuine, loving, and inspirational! LOVE that honored my life and would support that reality. That’s when I started living a love-motivated lifestyle. I just hadn’t described it that way — until now! I’d been living way for so long but had never gone deep enough to gain the clarity I needed to accurately express it. THIS is why the Universe sent me to D.C. THIS is why I sat in that session listening to the words that took the wind out of me. And THIS is why I feel so passionate about bringing attention what I see as two missing elements that weren’t discussed during the conference. We need kid-centered tools that focus on helping them develop the internal motivation to live a healthy lifestyle — using kid-inspiring, kid-approved language! Monday morning, I woke up CRAZY INSPIRED! I hadn’t felt that fired up in quite some time. Second, I went to work to update my website so that my platform more accurately reflects what’s inspired me all these years and the gift I want I pass along to you and your children! Over the past few years, I’ve done extensive self-exploration to find a way to gain clarity that leaves me feeling aligned in my body, mind, and spirit. A lot of the things I’d been doing left me questioning myself. 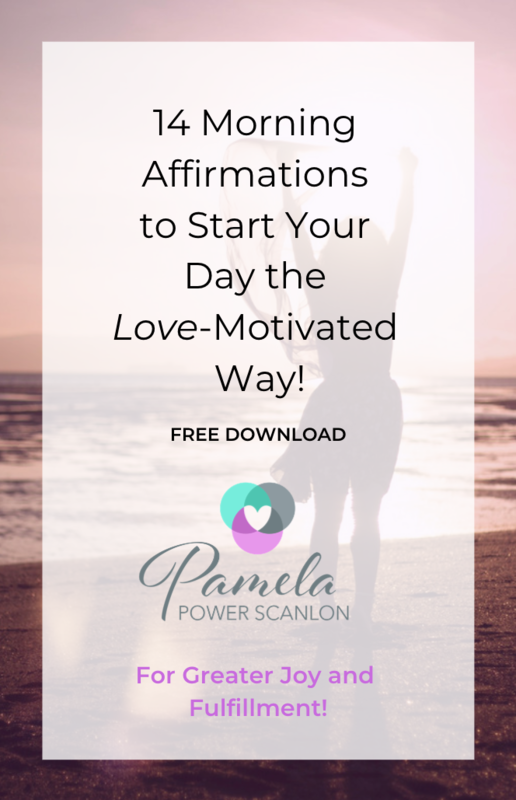 I created this FREE Download for you where I share 5 simple, yet powerful spirit-centered steps you can use to gain clarity that will leave you feeling aligned, too. I love to look for little miracles. Do you? If so, I thought you’d enjoy this little side story. Monday morning, the day I made the final tweaks to my book, my oldest son stayed home from school sick. He sat at the kitchen table with me to give me his approval on the final touches. My goal for The Super Dynamos is to get it into the hands of kids across the world because I believe so strongly in the messages. So I was feeling a little nervous about the changes I was making. I still wanted it to have mass appeal to parents, schools, healthcare providers, etc. Earlier in the morning, I’d asked the Universe to help me know I was doing the right thing. Within just 2 minutes of working on my manuscript, my son and I started hearing a tapping sound. We tried shrugging it off, but it didn’t stop. We followed the sound to into my den where I typically do my writing and saw a beautiful cardinal who had found its way behind the tree in front of my window tapping against the glass. Of course, the Cardinal is the bird that symbolizes LOVE! And darned if that cardinal didn’t stay the entire day! At 5:30 the next morning, I went down to my basement to get my workout in before submitting my final changes to the publisher. As soon as I got started, I heard the tapping sound again. I laughed and walked into the bedroom across the hall and there was he was! This time, he’d somehow made his way to the side of the house behind the A/C unit and the row of mature bushes growing against my house to the little hopper window. I knew in my heart, I was doing the right thing. The Super Dynamos, Fuel Up! : Max’s Transformation Begins is now available! If you’d like a special signed copy for the child or children in your life, you can purchase directly from my book page. But please be sure to send me an email with the names of your child or children in your life and your address so I can match it with the receipt. Or you can order on Amazon or Barnes & Noble! Stay tuned for my next article where I’ll share what I believe to be a critical element that needs to be addressed in order to make a real difference in the health, well-being, and happiness of our children! Oh fantastic! I’m so glad :))). Please keep in touch!